Approximately 45 million Americans get a routine annual physical every year. The basic visit includes your physician or a nurse listening to your heart and lungs with a stethoscope, checking your blood pressure, perhaps checking your ears and mouth (say ahhh! ), a few tubes of blood, a few reassuring comments about diet, reducing stress, exercise, and other general pleasantries. If you’re lucky you may also get an X-ray, a treadmill stress test, echocardiogram, Doppler sonogram of your carotid arteries, and an Endopat test to assess your blood vessels. There are an additional 5 critical tests which are often overlooked and need to be considered for a more comprehensive assessment of your overall health. Why are these important for people with Hashimoto’s? The answer is because they are very useful in diagnosing underlying chronic inflammation and potentially serious health issues. Most people believe the annual physical is the gold-standard – similar to a 15,000-mile checkup on a car to have the fluid changed, tires rotated and routine engine checks. Any hidden problems will be uncovered, addressed, and in so doing will ensure a longer engine life. Right? For the most part, from a functional health and wellness perspective, annual physicals are almost worthless. In 2012 the Cochrane Collaboration reviewed 14 randomized controlled trials of over 180,000 people followed for an average of 9 years who regularly received routine annual physicals for the purposes of general health and unrelated to any health complaints or symptoms. The outcome of their analysis resulted in their conclusion that annual check-ups were not likely beneficial. Annual physicals do not reduce mortality or death from heart disease or cancer. Read more about the Cochrane Collaboration conclusion here. Nonetheless, most people will continue to see their primary care physician annually unless a problem arises. After all, it’s tradition and health insurance usually covers it, so why not? Functional and integrative practitioners on the other hand, typically see patients 3 to 4 times per year whether they’re experiencing a health problem or not. This is the essence of functional medicine…to obtain baseline data and monitor for “functional” problems. Doesn’t it make sense to “check the car” before it breaks down? Functional medicine seeks to discover a potential chronic issue going on in the body before it manifests into a full-blown disease process. So here’s the deal, an annual physical cannot detect much more than an acute problem. Red Blood Cell Count (RBC), Hemoglobin (Hgb), Hematocrit (Hct), Red Blood Cell Indices: Mean Corpuscular Volume (MCV), Mean Corpuscular Hemoglobin (MCH), Mean Corpuscular Hemoglobin Concentration (MCHC), Red Blood Cell Distribution Width (RDW), White Blood Cell Count (WBC) and WBC Differential Count: neutrophils, lymphocytes, monocytes, eosinophils, and basophils; blood smear, platelet count, and platelet volume, mean (MPV). The BMP is a rough check of electrolytes and fluid balance and kidney function. The CMP is the same with the addition of liver function tests (AST and ALT). The CBC, BMP and CMP tests are beneficial for acute care problems particularly in the inpatient setting, e.g. the hospital. They are extremely valuable if you’ve been injured or are experiencing a sudden acute or emergent health crisis. What you may not know, however, is they are not the gold-standard assessments for annual check-ups. They simply do not and cannot reveal any underlying or chronic issues unless they’re extreme. 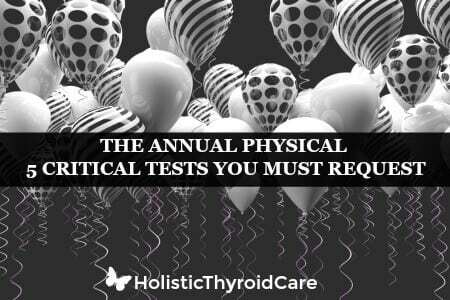 In addition to a complete thyroid panel, there are five critical lab marker’s that may easily be added to your annual physical. These are important for people with Hashimoto’s because they all play a role in underlying inflammatory disease processes. They are covered by most insurance plans including Medicare (with the exception of one, so please continue reading) thus there is no reason not to assess these valuable up-to-date tests for assessing potential chronic or underlying health issues. Oxidized Low-Density Lipoprotein (OxLDL) according to the Journal of the Americal Medical Association (JAMA) this lab marker is 17 times more predictive than the basic cholesterol lab markers ordered for standard lab testing commonly ordered for annual physical check-ups. Oxidized LDL is associated with vascular inflammation and the formation of plaque. What’s being measured with this lab test is how much of your LDL cholesterol (the “bad” cholesterol) has been modified by oxidation. The oxidized form of LDL is what leads to the formation of plaque in the arteries. People with high levels of OxLDL are 4 times more likely to develop metabolic syndrome, diabetes, and heart disease within 5 years and are at risk for coronary artery disease (CAD). High-sensitive C-Reactive Protein (hs-CRP) this lab marker is a nonspecific, acute-phase reactant used to diagnose bacterial infections, inflammatory disorders, acute rheumatic fever and rheumatoid arthritis. Elevated levels also correlate with ulcerative colitis, leaky gut, Crohn’s disease, urinary tract infection, Lupus, vascular disease, and malignant disease. Elevated test results can occur in people with high blood pressure, elevated body mass index, metabolic syndrome, diabetes, gingivitis, bronchitis, and tuberculosis. An elevated hs-CRP is also linked to cigarette smoking, hormone replacement therapy (estrogen AND progesterone), and when HDL is low and triglycerides are elevated. Hemoglobin (HbA1C or A1C) If your level is “in range,” it may not be good enough. According to Dr. Cheryl Burdette, new research has revealed that beta cells start to die when the A1C level reaches 5.2. With most conventional labs, this value is considered in the normal range which is somewhat misleading considering the latest findings. Most functional and integrative practitioners and anti-aging specialists recommend hemoglobin A1C be maintained <5.0 (less than 5). It is important to note that this lab value is a reflection of blood glucose control over the previous 90 days (since red blood cells live 90 days) and thus quitting sugar a week or so before the blood draw is not going to improve the lab result. Evaluating long-term control of blood sugar is one of the leading theories of aging. Glycation, poor glucose control evidenced by elevated A1C can lead to accelerated aging, the death of brain cells and poor health. Vitamin D3, 25-OH, Hydroxy – fortunately, vitamin D is more commonly ordered today than it used to be. However, there are issues in that many practitioners don’t seem to take into consideration the difference between what is considered an optimal and functional range for good health, but rather accept the range that prevents full-blown disease process such as rickets. A deficiency in vitamin D is related to autoimmune disease, osteoarthritis, psoriasis, intestinal permeability (leaky gut syndrome) and overall ill health. The University of Miami did a study on vitamin D and found that optimal levels in the elderly reduced the incidence of falls for patients in nursing homes, reduced the time ICU patients were on a ventilator and decreased concussions (traumatic brain injury) among NFL football players. Optimal vitamin D level reduces the risk for colorectal cancer, cognitive decline, influenza, diabetes, obesity, stress fractures, and aches & pains. Homocysteine – is an intermediate amino acid formed during the metabolism of methionine. Increasing evidence suggests that elevated blood levels may act as an independent risk factor for ischemic heart disease, cerebrovascular disease, peripheral artery disease, and blood clots. Homocysteine promotes the progression of atherosclerosis by causing endothelial damage, promoting low-density lipoprotein (LDL) deposits, and promoting vascular smooth muscle growth. Dietary deficiency of vitamins B6, B12, or folate is the most common cause of elevated homocysteine. These vitamins are essential for the enzymatic metabolism of homocysteine to methionine (a protein). Because of the relationship of homocysteine to these vitamins, blood levels are helpful in the diagnosis of deficiency syndromes associated with these vitamins. Homocysteine levels are elevated in people with megaloblastic anemia, cardiovascular disease, cerebrovascular disease, peripheral vascular disease, vitamin B6 or B12 deficiency, folate deficiency and in those with the methylenetetrahydrofolate reductase (MTHFR) gene mutation. For people whose genetic profile indicates MTHFR as an issue for them, it’s important to maintain homocysteine levels. I recommend following a homocysteine protocol to reduce and maintain homocysteine levels as recommended by Dr. Braly, author of The H Factor Solution: Homocysteine, the Best Single Indicator of Whether You Are Likely to Live Long or Die Young. One issue I’m very concerned about regarding homocysteine is that many doctors are not as willing to routinely order this test it as they once were. This may have something to do with new dictates by insurance companies according to their new policies to no longer cover the lab draw for homocysteine. 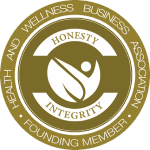 I know for sure that for many of my clients, Medicare no longer covers homocysteine. It’s mind-boggling because you have a right to know what your level is. You can order your own test as a single test or combine it with additional lab marker’s of your choosing at a very low cost through our lab testing channel. No prescription is needed. You will receive a lab order via email to take to your nearest Quest Diagnostics lab facility for your blood draw and receive your results in a few days time. Read Next: Essential Thyroid Labs and When Should You Request Thyroid Ultrasound? Those five should be standard with every annual physical. And while that list could be expended, nevertheless, I must take issue with the omission of RBC Mg. Even if you don’t consider it the most important, it is definitely important enough to be included. And while I agree with a full thyroid panel, many doctors don’t include reverse T3 and autoantibody tests with their scrip. It also should be mentioned that about half of those with a thyroid issue will have normal tests. Everyone likes to skirt around the real medical issues. While there are many superb MDs, the vast majority of MDs are grossly incompetent. And that includes every MD that isn’t ordering those additional tests unless requested by their patients. It also includes those doctors which carelessly permit iron supplements or sweets to patients with an infection or cancer. Plus those prescribing meds for hypertension, diabetic and multiple other issues which are usually the result of a magnesium deficiency, but they didn’t bother checking the patient’s RBC magnesium. And the list goes on, which shows the surreal ineptitude of what we have today for a typical MD.